Want it by Tuesday 30th April? Order within 2 days, 18 hours, 55 minutes and choose Next Day Signed For (Special Delivery) at checkout. Gents Certina DS-2 swiss quartz Precidrive watch on a stainless steel bracelet with a silver dial, date function at 6 o'clock, sapphire crystal glass and comes in official Certina packaging with a two year manufacturers' guarantee.Featuring Certina's highly-accurate Precidrive movement, the DS-2 offers a sporty and dynamic design to match the accuracy in a watch perfect for both work and play. 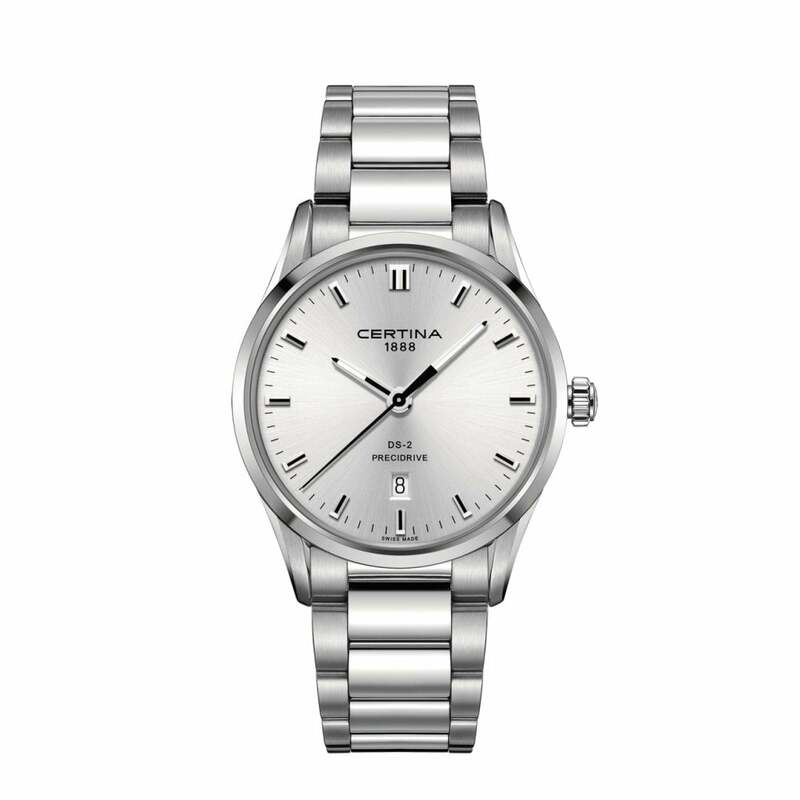 This watch is made to Certina's DS (or Double Security) Standard, a concept first devised by Certina in 1959 which means the watch is built with a highly resistant movement capable of withstanding all the knocks a watch is likely to take in its lifetime.